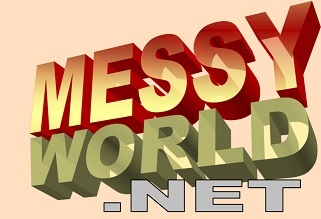 © Messyworld.net is owned in content & design by Bluelight Media Group. All Rights Reserved. Messyworld Head Mistress, Miss Michaela, and the head producer had a bet in which Michaela lost. So the producers decided that she'd have to record a plea video to viewers of Messyworld, asking them to share or retweet the video, which would result in her going through The Human Carwash in her own PVC outfit. After receiving more then 30 retweets, this is what happened, and her outfit was stained and ruined forever.